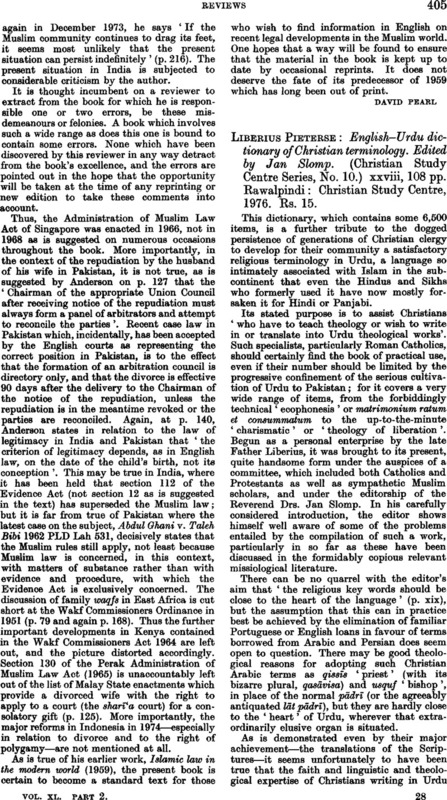 Liberius Pieterse: English-Urdu dictionary of Christian terminology. Edited by Jan Slomp. (Christian Study Centre Series, No. 10.) xxviii, 108 pp. Rawalpindi: Christian Study Centre, 1976. Rs. 15.